Serving our family’s favorite traditional recipes for the holidays is just a given isn’t it? All of us look forward to those delicious traditions that grace our Thanksgiving tables every year. Even though this is truly an American holiday, people from all ethnicities add their own unique flavors and dishes alongside the classic American foods. American-Italians certainly add fabulous recipes to their Thanksgiving menus and my family is no exception. 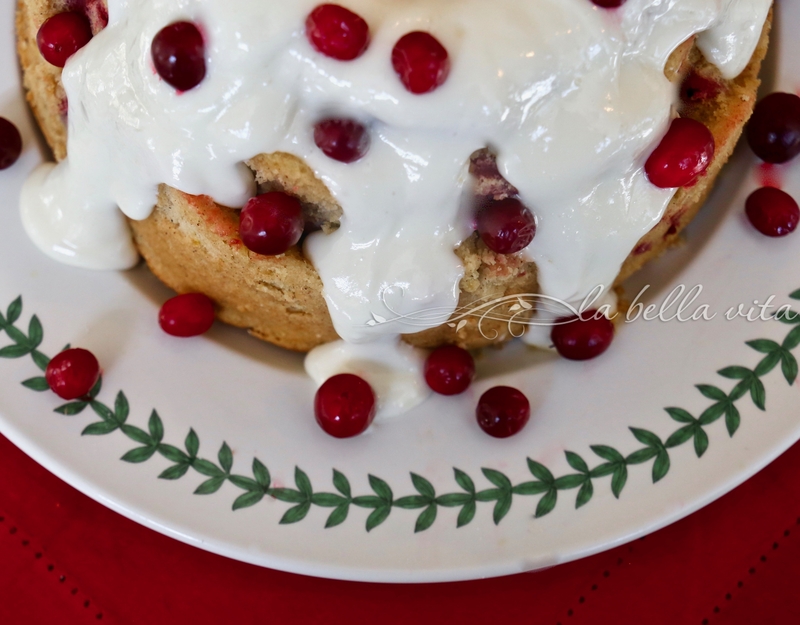 So while you’re either getting ready for the big dinner or you’re just winding down to relax and you’ve stopped by my blog and reading this, here’s the line-up for our home to yours: An Italian Thanksgiving Celebration Menu with Recipes (through the links). 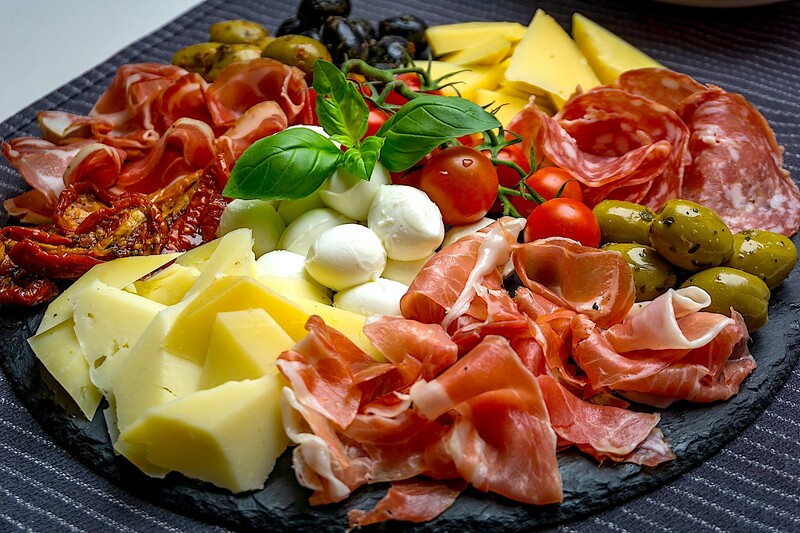 No Italian get-together would be complete without welcoming family and guests with a huge antipasto platter. Your creativity can be unlimited in deciding what to include on your platter. But there are some must-have items! Italian cheese varieties, including fontina, asiago, parmiggiano, pecorino, soft mozzarella, and gorgonzola to name the most well-known. Italian charcuterie, such as prosciutto, Genoa salami, and capicola. We also include smoked turkey and ham as well. 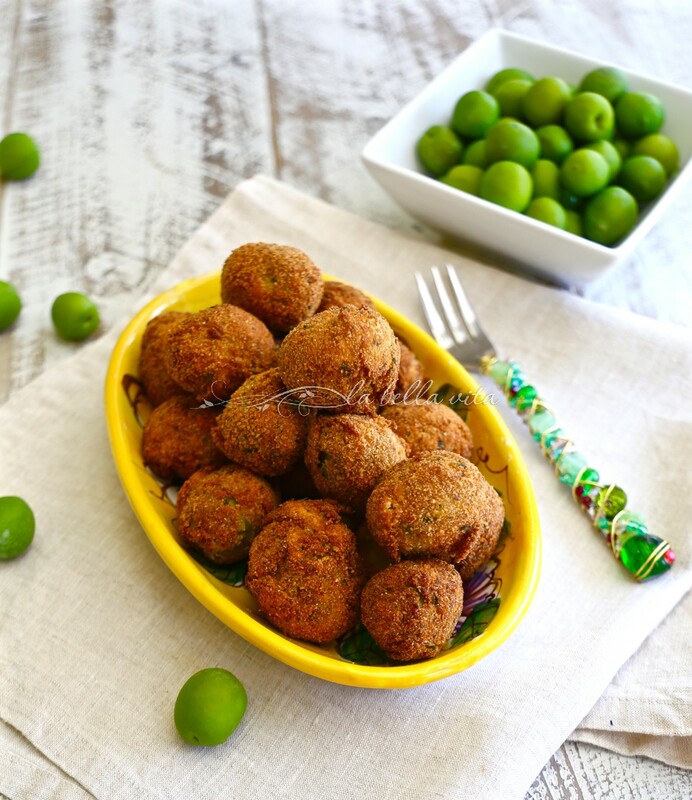 Olives are a must, including castelvetrano and black olives. Vegetables, such as roasted red peppers, sun-dried tomatoes, and Italian giardiniera are wonderful as well as colorful on an antipasto platter. Carrots, celery, and San Marzano cherry tomatoes are also served. Marinated mushrooms and mini onions are a favorite antipasto as well. Although Italian tuna, anchovies, and sardines are our favorite fish to serve, we simply love pickled herring caught from northern European waters! Bread and breadsticks are a must and our asiago bread is always expected. Fruit and fruit spreads imported from Italy are a sweet treat such as fig jam, lemon and/or blood orange spreads, and my favorite, cherry jam from northern Italy. Blood oranges and clementines are coming into season now and perfect to peel and eat as finger food. Grapes, both red and green are good bite-size finger foods to add to the platter. Lastly, a pretty garnishing with fresh basil or rosemary gives a beautiful final touch to your presentation. 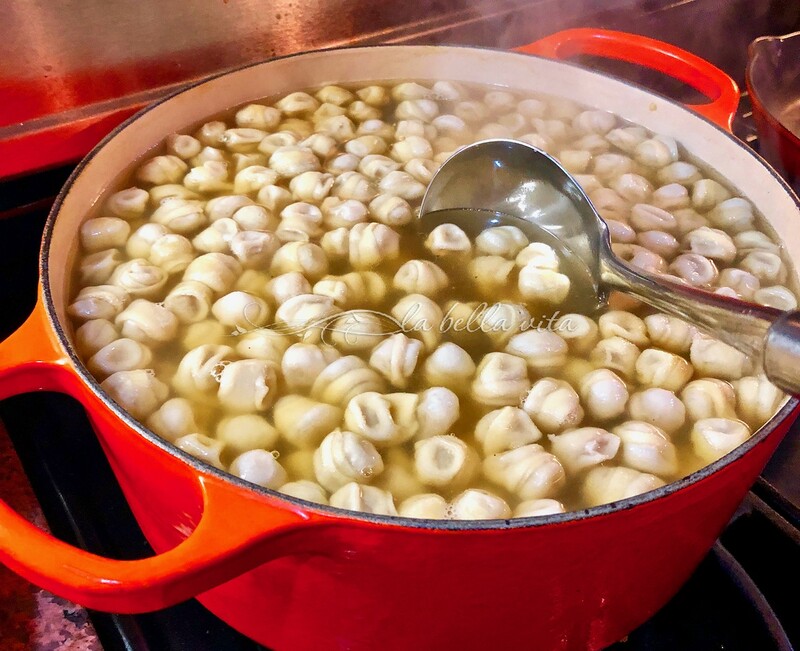 No holiday in our Italian family would be complete without serving one of the most famous soups from our native region of Emilia-Romagna in northern Italy: Tortellini in Broth. Our entire family, both guys and gals make an event of making pasta, tortellini ‘filling’, and making the little tortellini themselves. This is a true labor of love and requires hours of time ahead of the big holiday gathering. But the results and the accolades from our family are worth the effort. I hope that you find my step-by-step instructions helpful. Contact me if you have any questions. For Thanksgiving, we always prepare a traditional oven-roasted turkey. Living in the South though, we have fried a turkey now and then as well. Both are just as delicious as the other. Now where our Italian holiday celebration menu differs from an all-American menu is with the side dishes ‘contorni‘,and desserts. 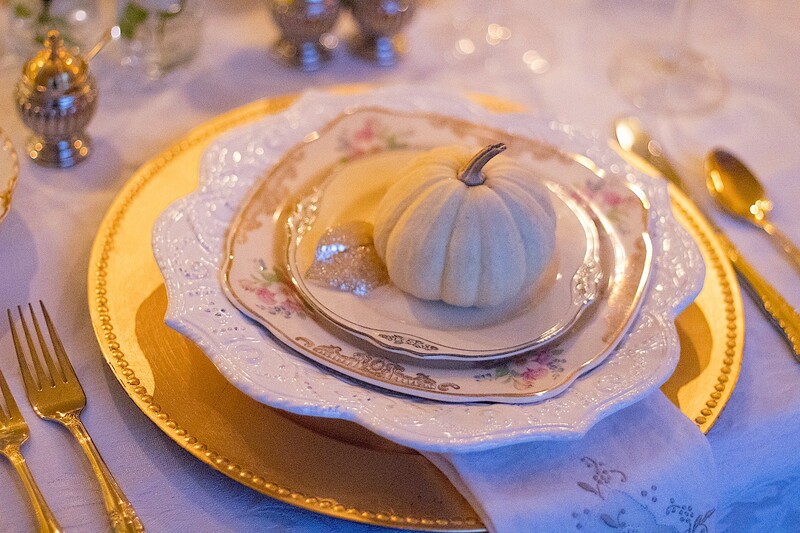 So here are some superb recipes that we include and inter-change through each holiday. 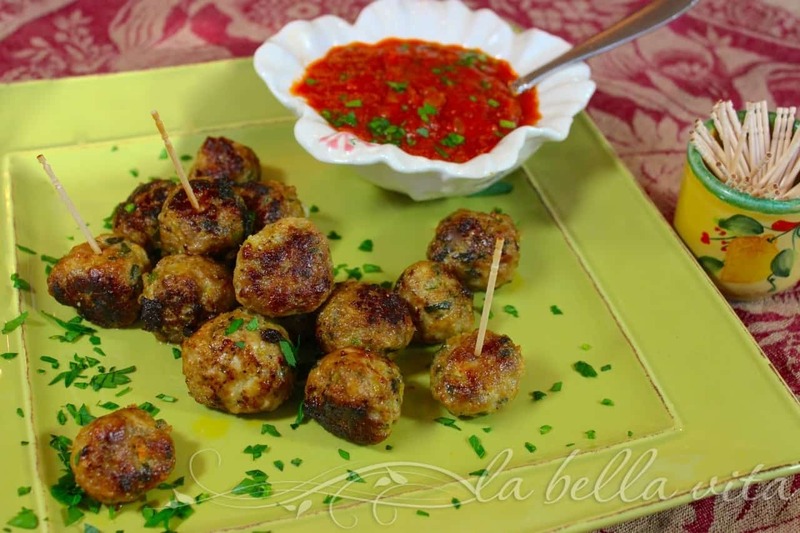 I discovered this amazing recipe many years ago in Gourmet magazine that is no longer published. 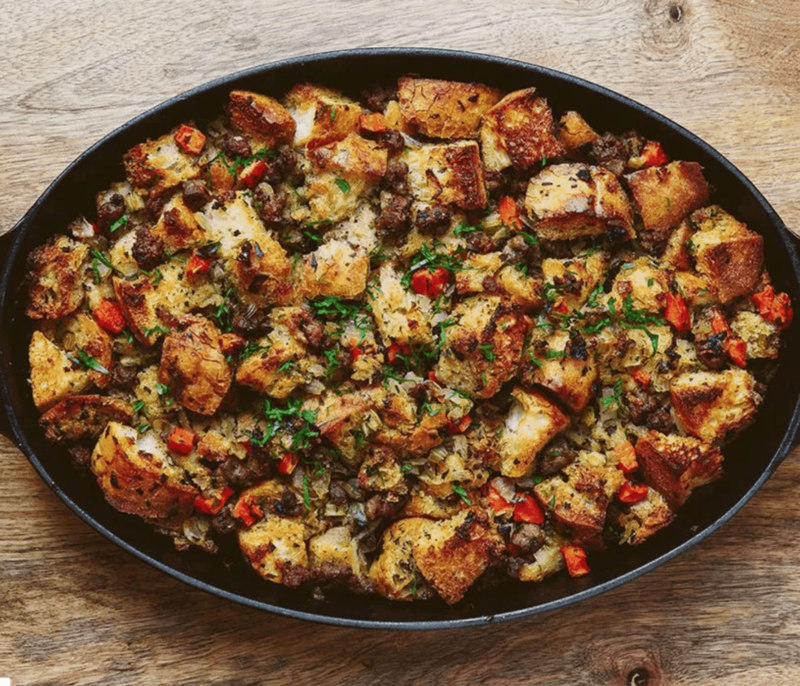 It is the most delicious Italian version of turkey stuffing/dressing that you can imagine! Full of Italian cheese, pepperoni, herbs, and garlic, it epitomizes my family’s Italian Thanksgiving celebration! Next to turkey and stuffing, Thanksgiving would not be complete without some creamy mashed potatoes and gravy! 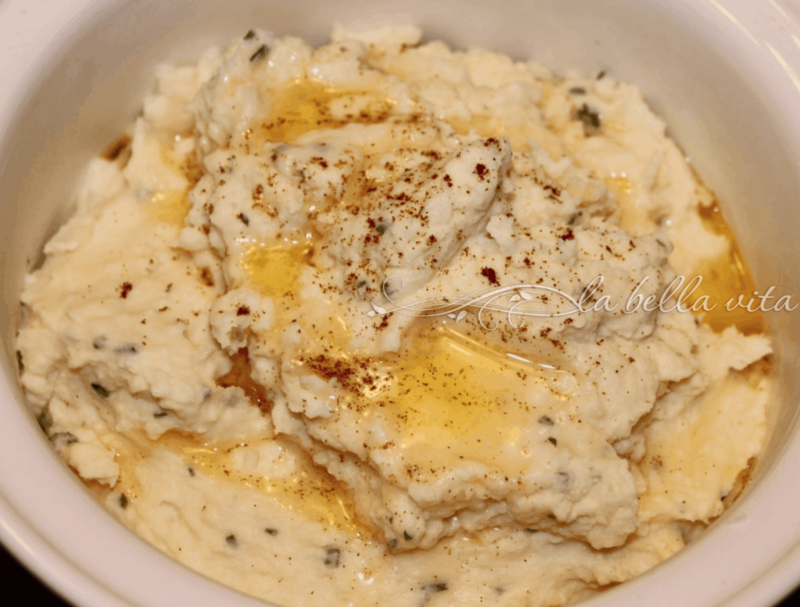 We have been preparing this garlic-y mashed potato recipe since the beginning of time it seems. 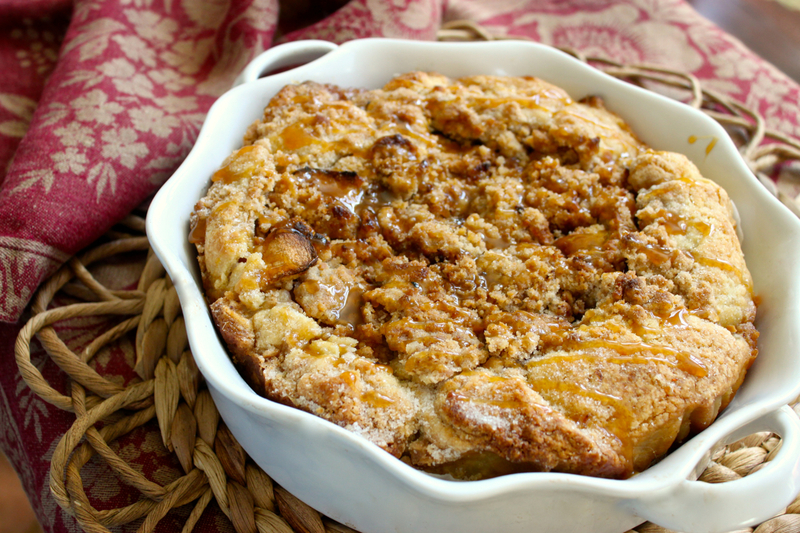 It’s crazy-delicious and devoured immediately! 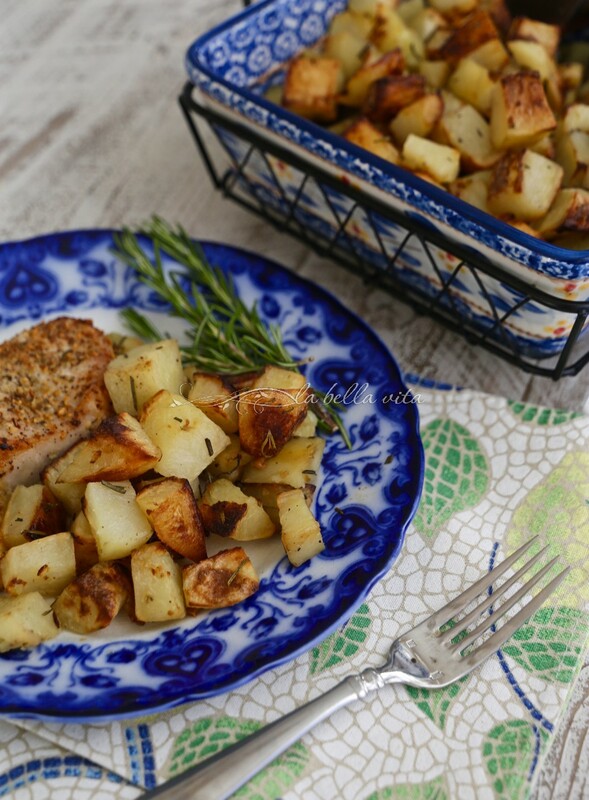 If mashed potatoes aren’t a favorite, you can always prepare my mother’s famous roast potatoes chock full of rosemary and garlic! Italians in Italy don’t eat alot of corn, but my family in the States simply loves corn and can’t imagine Thanksgiving dinner without a corn dish to serve and enjoy. 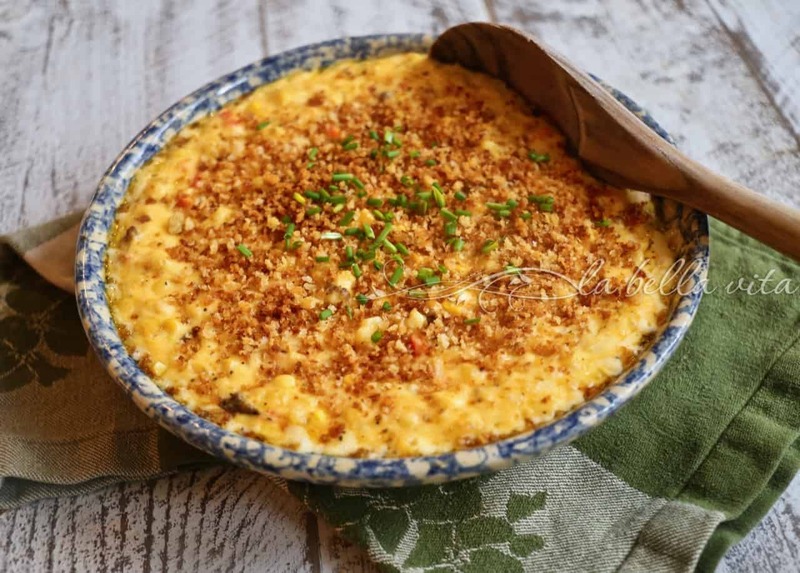 This is a garlic-y, cheesy corn casserole that is heavenly to say the least. It will disappear before you know it! We don’t serve green bean casseroles for our holiday meals. My adult kids are so health-conscious that they don’t even touch tht stuff with mushroom soup mixed in. 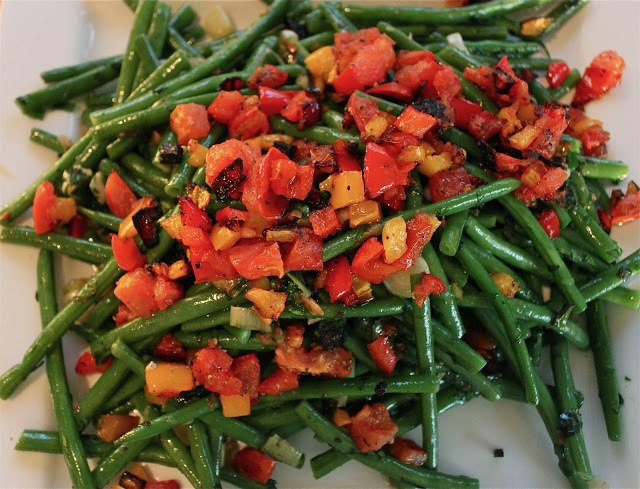 But they will bee-line to the buffet table to grab these crispy, roasted green beans with tomatoes and herbs. Once you taste them, you will too! 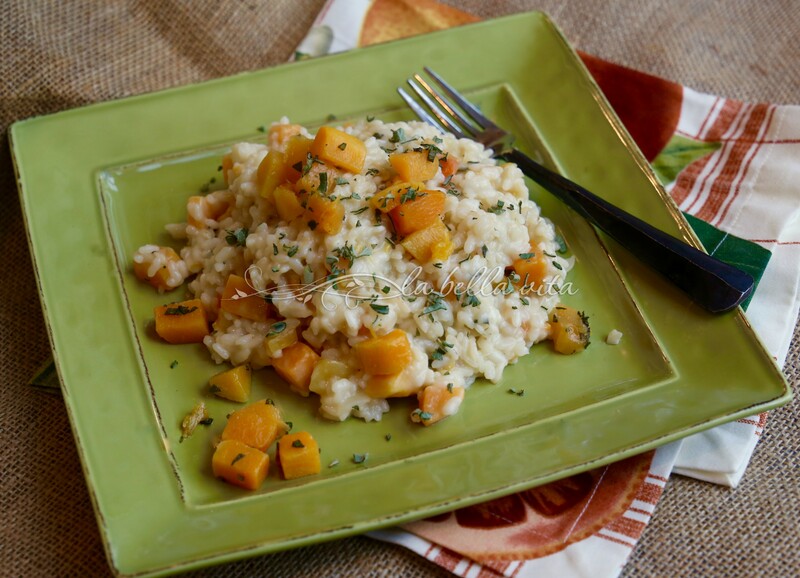 Finishing out the vegetable line-up, this decadent and autumn-flavor filled risotto round out the “Italian” options on a buffet quite nicely. With the butternut squash, sage and garlic, this dish is simply divine! Italians love their desserts, “i dolci“, just as Americans do, however, besides a traditional pumpkin pie, there are a few sweet additions on a Thanksgiving table: something made of apples, something made of cranberries, and something made of cherries (which is always my mother’s infamous cherry pie). Thank you for stopping by today and into our foodie world on our acreage! From our family to yours, we wish you a very Happy Thanksgiving! We’re so grateful that you’ve joined this community of people who love to prepare delicious food as well as for sharing your thoughts and questions with everyone. Please continue to let us know if we can help you in the kitchen, garden or in your travels. What a delicious holiday menu! p.s Something you installed on your blog has really slowed down my browser and my screen freezes whenever I visit your blog..I had to shut down every single program and it’s still not working properly when I am trying to leave y comment. I am so sorry to hear about this problem. I don’t know what was installed here other than the normal updates. I will ask others if they too are experiencing this problem. I am so sorry for causing any problems. I know that I had trouble on two other blogs and let the bloggers know as well. Thank you for letting me know!